This fall’s University Lectures lineup features one of the creators of 3D printing; a Pulitzer Prize-winning photojournalist portrayed by Jennifer Lawrence in an upcoming Steven Spielberg film; and the renowned designer of Manhattan’s High Line and Chicago’s Navy Pier. The 16th season of Syracuse University’s premier speaker series begins Oct. 4 and continues through the fall and spring semesters; the spring lineup is being finalized and will be announced in the coming weeks. All events take place at 7:30 p.m. in Hendricks Chapel and are free and open to the public. American Sign Language (ASL) interpretation and Communication Access Real Time (CART) are available at each lecture. Pettis is passionate about providing the tools for individuals and organizations to create the world around them. He is a renowned figure in the field of do-it-yourself 3D printing and is recognized worldwide as a leading evangelist for personal manufacturing. 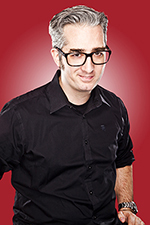 Pettis co-founded MakerBot Industries in 2009 and was instrumental in building the first prototypes of MakerBot’s 3D printers. He was the company CEO through 2013 and its $403 million sale to Stratasys. Pettis also launched Bold Machines, a 3D product development workshop whose projects include “Margo,” the first-ever feature film made with 3D-printed characters; medical diagnostic devices for the developing world; and testing equipment for the early detection of oral cancer. Pettis has been named TIME’s Tech 40: The Most Influential Minds in Tech and to Foreign Policy’s annual list of global thinkers, and has been honored by Fast Company (Innovation by Design awardee) and The Economist (2013 Innovation Award), among other accolades. Sponsored in cooperation with the Martin J. Whitman School of Management and the School of Information Studies. Addario is an American photojournalist who regularly works for The New York Times, National Geographic and TIME. She traveled to Afghanistan in 2000 to document life under the Taliban and has since covered conflicts in Afghanistan, Iraq, Libya, Lebanon, Darfur, South Sudan and Congo. Her bestselling memoir, “It’s What I Do: A Photographer’s Life of Love and War” (Penguin Press, 2015), is the basis for a movie to be directed by Steven Spielberg and starring Jennifer Lawrence. 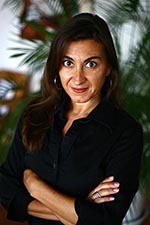 Addario is the recipient of a MacArthur Fellowship and was part of the New York Times team that won the 2009 Pulitzer Prize for International Reporting, for her photographs in “Talibanistan” (Sept 7, 2008). In 2015, American Photo Magazine named Addario one of the five most influential photographers of the past 25 years. Sponsored in cooperation with the S.I. Newhouse School of Public Communications. Corner is founder/director of Field Operations in New York City and an internationally recognized landscape architect noted for his innovative approaches toward landscape architectural design and urbanism. His work is renowned for strong contemporary design across a variety of project types and scales, from large urban districts and complex post-industrial sites to small, well-crafted design projects. Among his notable works are the widely acclaimed High Line in Manhattan, Freshkills Park on State Island, Seattle’s Central Waterfront, London’s South Park at Queen Elizabeth Olympic Park, Chicago’s Navy Pier and Tongva Park in Santa Monica, Calif. 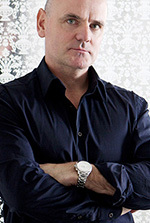 He has been honored with the National Design Award and the Daimler-Chrysler Award for Design Innovation. In addition to his practice, Corner is a professor of landscape architecture and urbanism at the University of Pennsylvania School of Design. He is author of “The Landscape Imagination” (Princeton Architectural Press, 2014) and “Taking Measures Across the American Landscape” (Yale, 1996). Sponsored in cooperation with the School of Architecture. The University Lectures welcomes suggestions for future speakers. To recommend a speaker, or to obtain additional information about the series, write to lectures@syr.edu. For up-to-date information on the series, visit the University Lectures website, follow on Facebook and join the University Lectures email list.